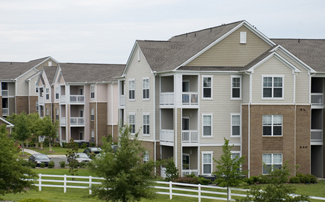 Ansaphone, Inc. has been working with property management companies, both commercial and residential, for 60 years. Growing and adapting to meet our clients' changing needs has put us in a unique position to understand the property management industry, and to know what it takes to deliver high quality service. Our staff understands and appreciates the importance of each call, and will follow customized instructions for each type of call or situation. Common call types that require a response from on-call personnel include maintenance requests, alarm notifications, lockouts, and elevator emergencies. Our operation platform allows us to utilize a database of your site locations. The database increases the efficiency and accuracy of our message taking. It also allows us to access individual instructions about each location and handle an entire portfolio regardless of the number of units or if the portfolio contains sites from different cities or even different states. Our staff can input routine maintenance requests directly into your existing web based solution, maximizing the return on investment and increasing efficiency as all routine maintenance requests would be centralized. Message Delivery: The end of the call is merely the beginning of our service. Our staff will immediately dispatch calls to the correct on call person according to your instructions. We can contact your on call personnel by cell phone - pager - text pager or other wireless device. Your instructions can contain detailed escalation procedures. A detailed record of all calls taken and dispatched can be sent by fax or email to one or several locations, and will occur at a scheduled time every day. This report will include the exact time each call was received and delivered to your on call person, as well as a record of all dispatch attempts. Our archives will hold your messages for up to three months. Customized reporting is also available.